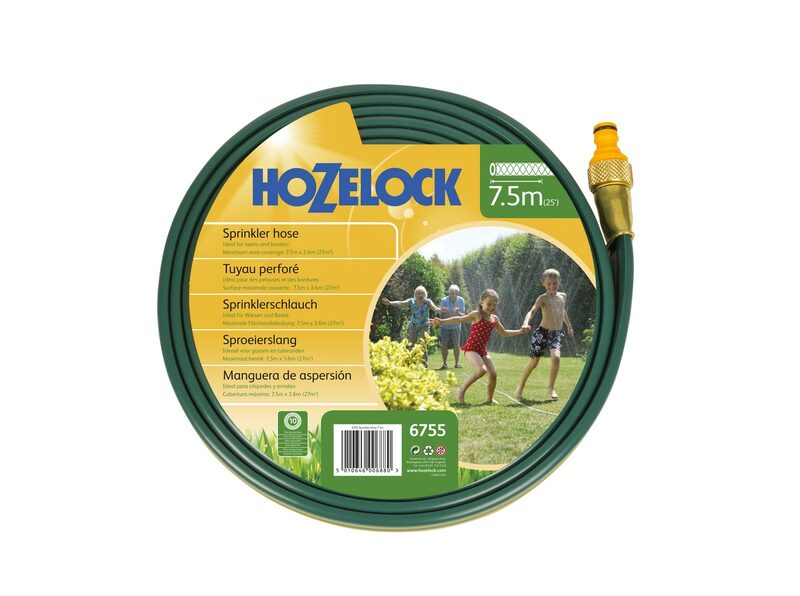 This sprinkler hose produces a fine spray to water plants in beds and along borders. 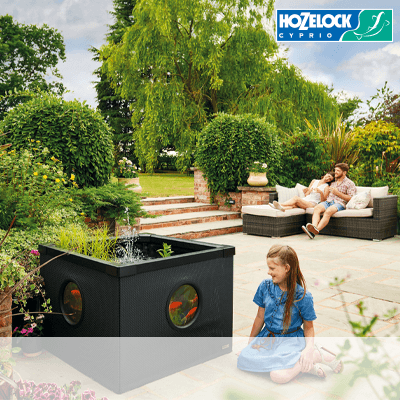 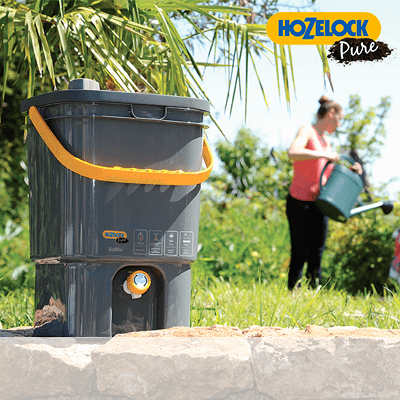 Dual-use – The Hozelock Sprinkler hose is a perforated flat hose which produces a gentle sprinkler effect when used upright and a deep soaking action when reversed. 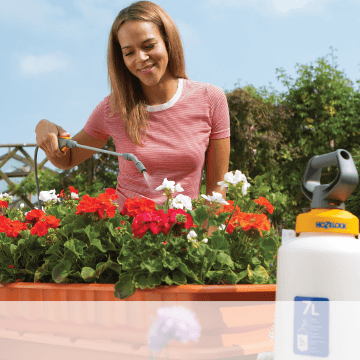 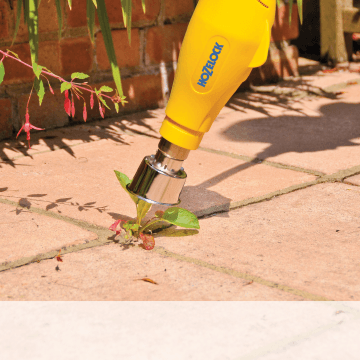 Ideal for watering borders and beds – especially those that are an irregular shape. 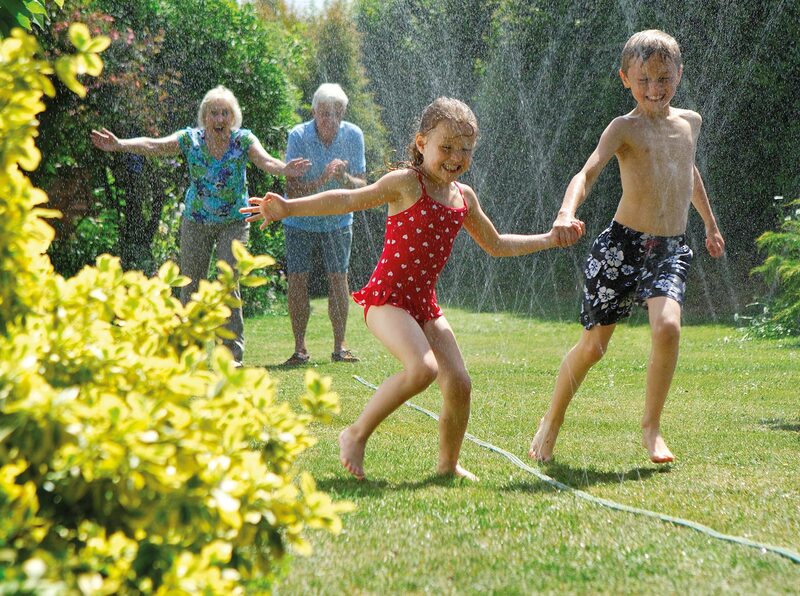 The hose can be laid out to follow the shape of your beds for accurate targeted watering. 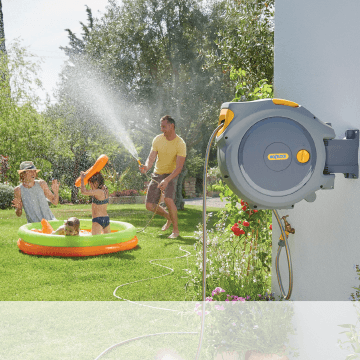 Supplied with an end cap and screw-in connector – this allows you to easily link more than one Sprinkler Hose together for greater area coverage.